Two virtual cigars and a tip of the hat to Charlene for getting the answer right: Our research has shown that 1970 is the likely date that the “Lex et Ordo” phrase was incorporated into the insignia. However, we were unable to confirm that with the Police Department. 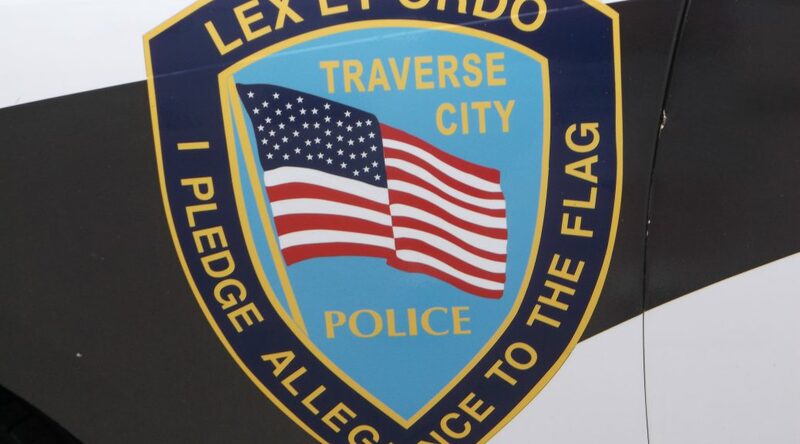 We have found very few other instances of the phrase in continued use on police insignias, and regard Traverse City’s as a historical relic. That is the estimated number of libraries in the United States today. If you are concerned about our national state of affairs, that should be a soothing balm. That is roughly 3.4 libraries per McDonald’s (just another fun fact to take with you to Party Banter Friday). What do many of these libraries have in common, besides amazing librarians, piles of knowledge, and open and free access? Andrew Carnegie, the steel industrialist and philanthropist, who aided communities across our nation in building public libraries. 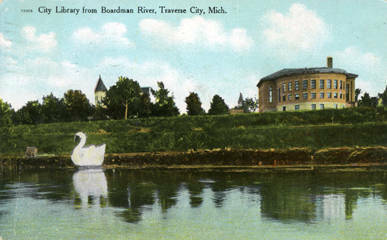 Our first community library in Traverse City was, although an amazing feat, not a free, public library. 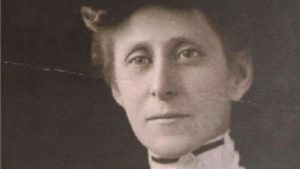 In 1869, the Ladies Library Association founded the first library in town, and in its earliest beginnings, men were barred from using its resources. A city library was in operation after that, but nothing on the physical scale of a Carnegie library. 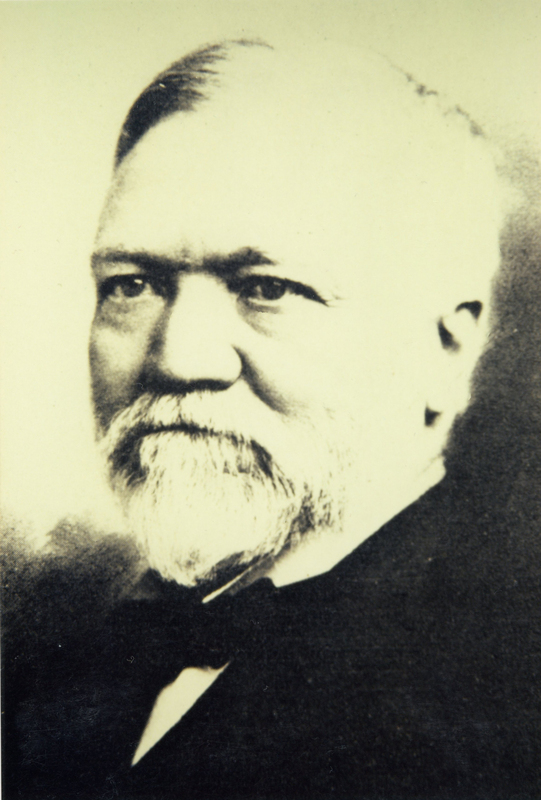 Andrew Carnegie, Scottish-American industrialist and library lover. “The man who acquires the ability to take full possession of his own mind may take possession of anything else to which he is justly entitled.” Image courtesy of Marie Kulibert, TADL librarian/historian. 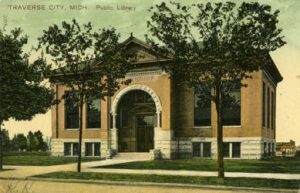 By all accounts, getting a Carnegie Library in your town was a relatively easy exercise. Interested parties would send Mr. Carnegie a letter, and if all looked well, he would reply back with instructions, usually requiring the city to promise an annual amount to the library’s upkeep. Between 1883 and 1929, 1,689 libraries were built across the United States. That is roughly 36 libraries every year, for 46 years. Imagine! How would that have compared with the current city library’s operational budget? In the previous year, the bulk of operating costs were appropriated by the city council ($1000), paid out of a city fund designated for the librarian, rent, and other expenses ($816). Also in that year was the sale of the West Side chapel, which $875 was raised to go toward the library. Finally, court fines ($157.55) and book fines ($14.75) brought up the rear, for a total of $2863.80 raised, and $2702.15 spent. The city was already paying over $700 more than Carnegie was asking to pledge. Perry Hannah, “Father of Traverse City,” donated the Sixth Street property on which the City’s Carnegie Library was built in 1905. Image courtesy of Marie Kulibert, TADL librarian/historian. Santo certainly felt that the controversy was endangering other public works and business interests, largely by the City Council members whom he felt were “indulging in a spiteful controversy over the site for a building which we could well dispense with.” At the end of his speech, he recommended returning the Carnegie money and proposing the city find the funds itself, and if that proposal failed, then to erect the library at the Sixth Street location deeded to the City by Perry Hannah, and erecting a city hall building in the first ward (what we would consider downtown). 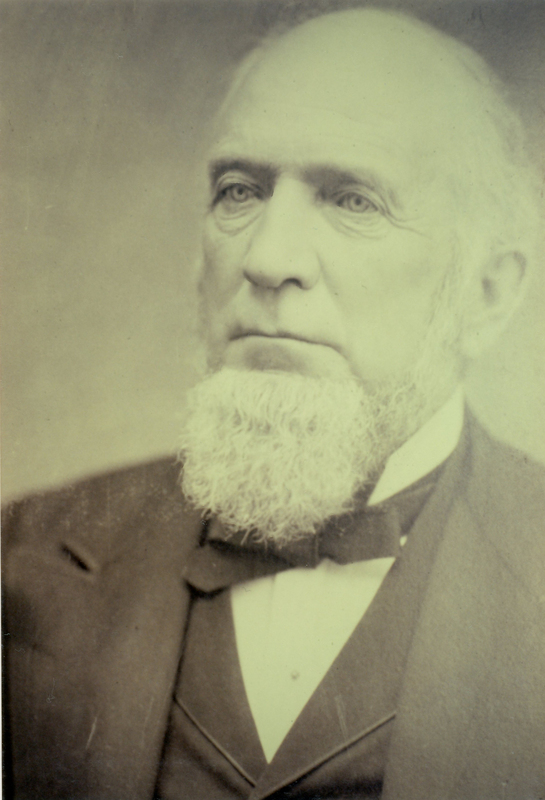 Perry Hannah’s offer of the site on Sixth Street won over the council, eventually. The Evening Record reported the hatchet “buried” by city council members Hamilton and Lardie, who “gracefully yielded at a special council meeting last night and declared that it is time that factional differences should be obliterated and the city be united instead of divided by ill feeling owing to differences of opinion as to the location of the Carnegie Library.” So the “long and bitter fight” came to an end almost a full year later, in March 1904. Solidly and quickly the library was erected, furnished and stocked withe over 7000 titles. On opening day, February 28, 1905, 350 persons visited and checked out 390 books. In the first month, 3,042 books were given out. Care to guess what was most popular? Fiction dominated at 1,840, and juvenile fiction at 1,501, with history, biography, magazine, nature and travel following in the far distance (between 113 and 15 titles). How does that compare with today’s checkout stats? Find out more at the Traverse Area District Library’s Statistics Dashboard. Amy Barritt is Special Collections Librarian at Traverse Area District Library, and co-editor of Grand Traverse Journal.